No matter how much we try to make a case against it. And especially in this age, where competition is so intense. Think like a potential customer. Which storefront would you prefer to visit? The one in the blue or the one with the glass doors and glass walls? Yes, there are other factors involved that ultimately dictate whether you are able to convert a potential customer into a customer, like product quality, product range, product price, customer service etc. etc. But all these come into play later. That is, after your potential customer visits your store. For the moment, it’s the business with the greater curb appeal that is winning. And if you are not making that first impression count, you are losing. What can you do to improve your business’s curb appeal? There are many solutions on offer. One of the most economical solutions available in the market is getting a commercial door for your business. In San Diego County, you can contact a reliable commercial door company who would provide you with a customized commercial door solution for your business. These doors are available in different sizes, make and color. From look through screen, glass and barrier doors to elegantly styled wooden, aluminum and stainless steel doors. If you want a commercial garage door, you can easily get one that offers aesthetic appeal along with high performance functionality. And, there is another upside to installing a commercial door. Burglaries and fire breakouts are commonly reported incidents. In fact, the San Diego county has recently seen an increase in commercial burglaries over the last 3 months. Getting the right type of commercial door for your business, mitigate the risk of such burglaries, while also helping to protect your business assets against the damages incurred due to fire breakouts. Want to buy a commercial door for your business to improve its curb appeal? Here, at Austin Doors, we stock branded commercial doors that can be customized as per your requirements. 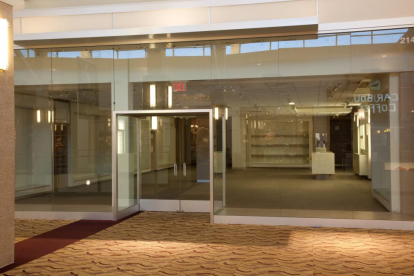 We also offer commercial door installation and repair services. For further details, call us at 760-499-2611!